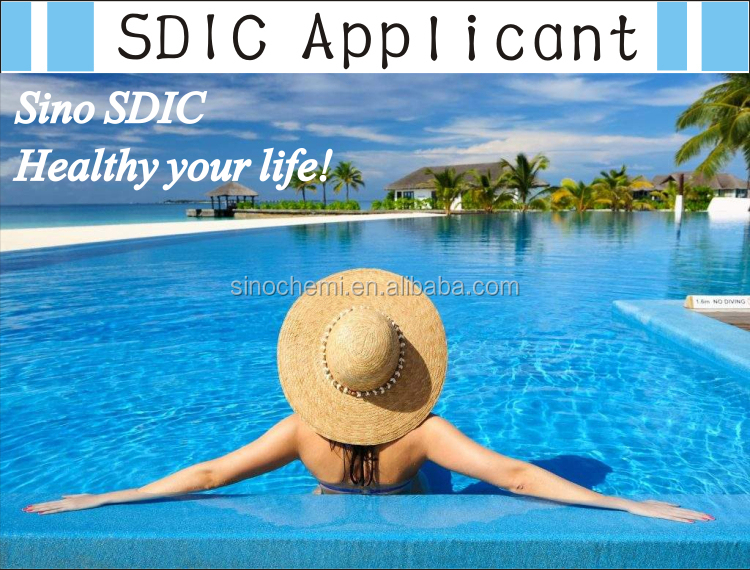 SDIC is a oxidizing bactericide as a disinfector and it has different forms in powder,granular and tablets. 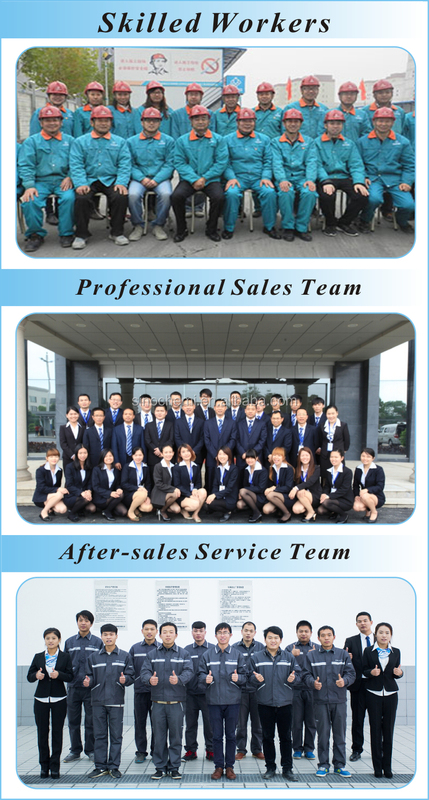 Function : fighting against infectious diseases as routine disinfection, preventive disinfection and environmental sterilization in different places. 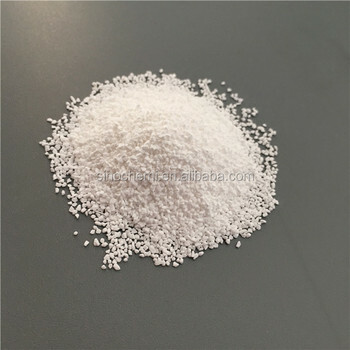 Granules: 8-30 mesh, 20-40 mesh or 20-60 mesh. 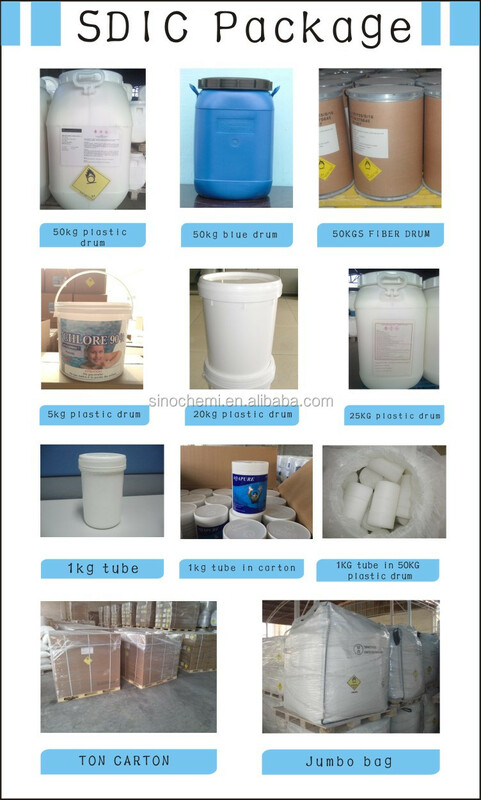 As a nontoxic disinfector, it is used in hygiene and disease control, medical treatment, agriculture and plant protection etc.,for example, antisepsis for drinking water, industrial water, dishware, swimming pool, poultry, fish feeding, environment and infectious diseases and its prevention. 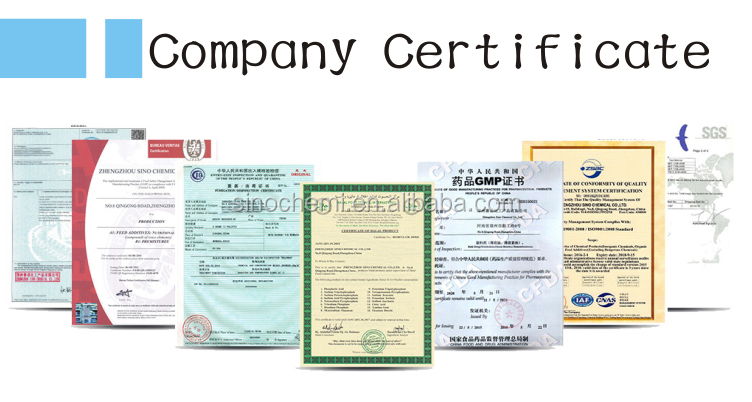 In addition, it is use to bleach cloth, kill alga and for wool shrinkage proof agent. It is no hazardous for human body so it is welcome in the market. 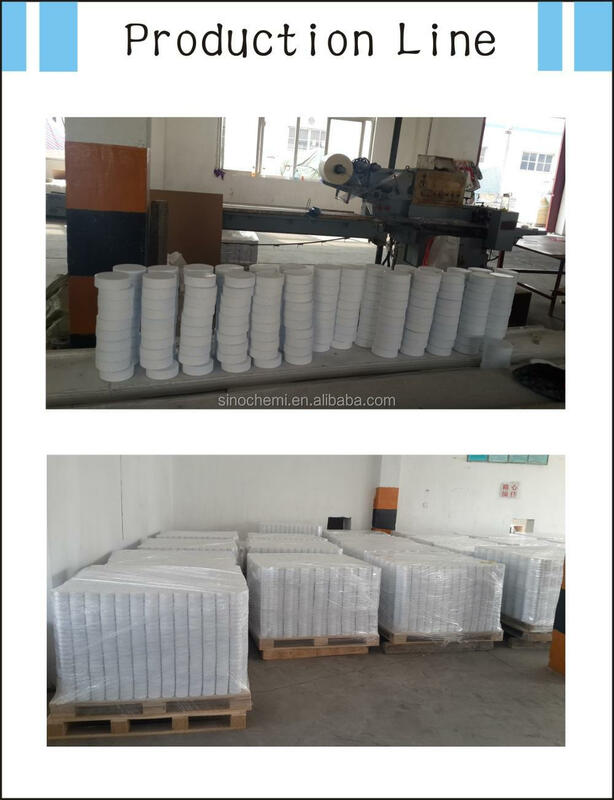 1)25KG Bag,1000KG Bag or customization as client's request. 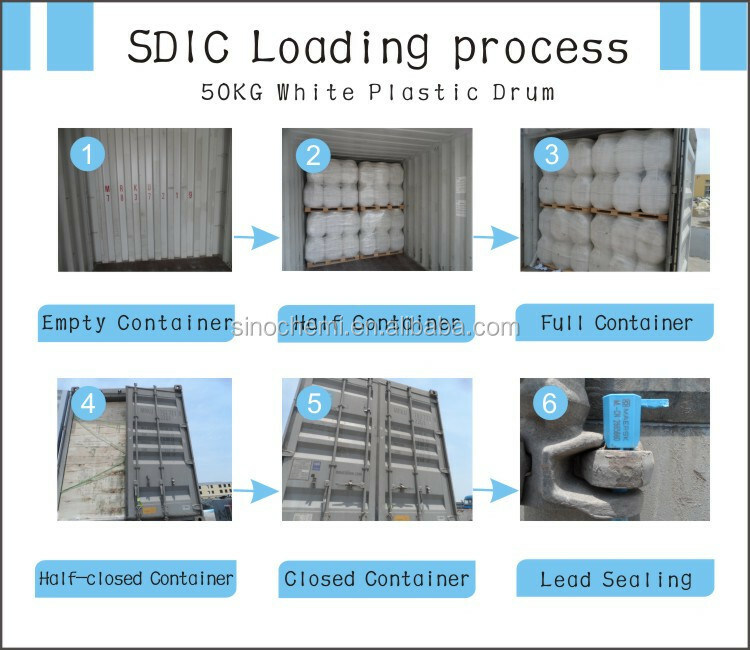 2)Plastic drum, 25kg/drum, 50kg/drum, or customization as client's request. 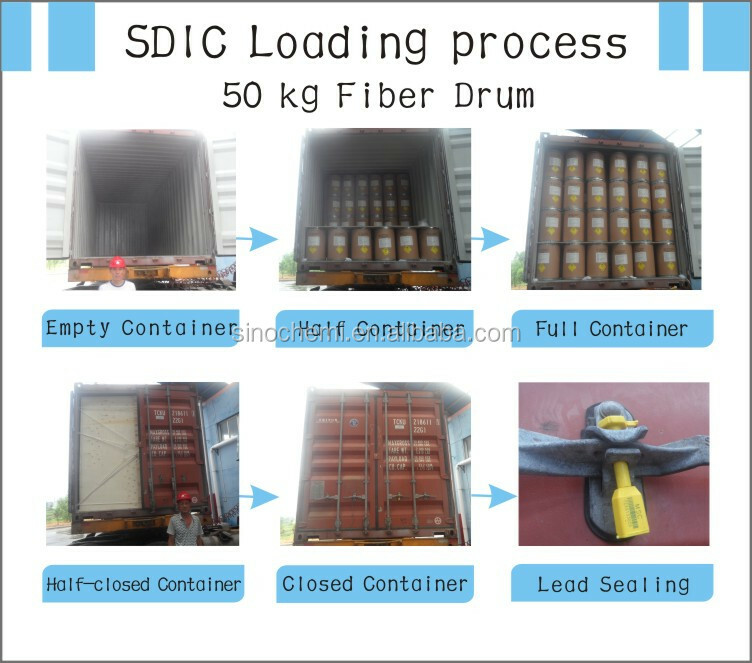 3)Fiber drum, 25kg/drum ,50kg drum, customization as client's request. Stored in dry and ventilated place. 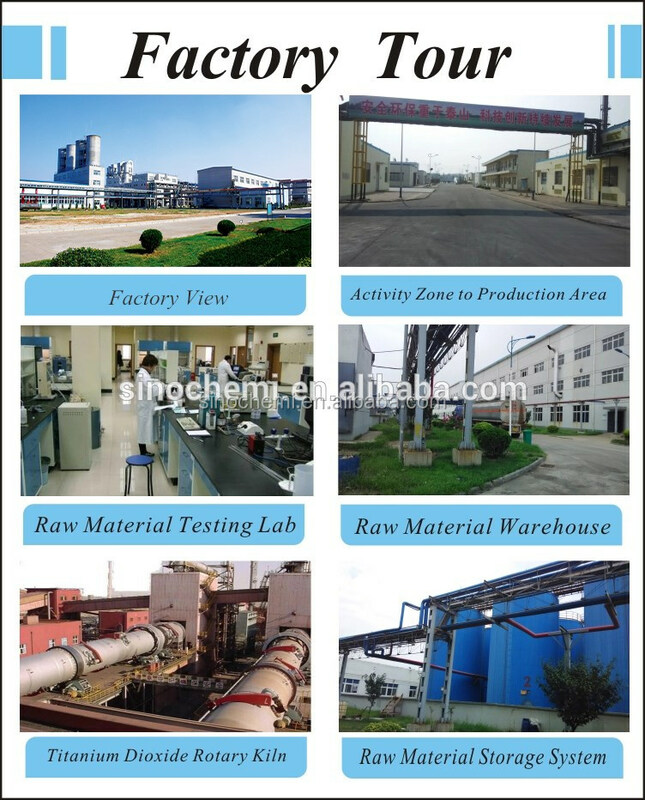 No contacting with nitride and reductive matter. It can be carried by trains, trucks or ships.